Leading PC gaming expert YoYoTech has launched a range of incredible-value “PC starter kits” priced from just £152.99. The kits, available from www.yoyotech.co.uk, contain everything needed to build a desktop gaming PC and offer great performance at an unbeatable price. Each package comes as a build-it-yourself bundle that YoYoTech experts say should take the average beginner no more than two or three hours to put together. 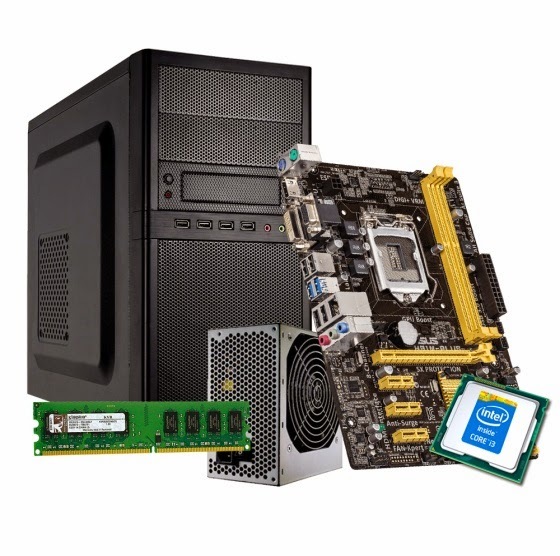 The bundles are an ideal way in for customers who are new to the world of build-your-own PCs - and components are easily upgradeable when users want to increase the specifications of their system. The kits, which all include a case and power supply, are straightforward to assemble but if customers get stuck, YoYoTech experts are happy to talk them through the process by phone. The £152.99 Starter Kit i3 offers an Intel i3 4130 dual-core 3.5GHz processor, Asus H81M-Plus Motherboard and 4GB of memory. At £286.99 the Starter Kit A10 includes an AMD A1-7850K Quad-Core 4.0GHz processor, an F2A88XM-DS2 Motherboard and 8GB of memory. The Starter Kit i5 at £359.99 is the perfect gaming set-up and includes an Intel i5 4670K Quad-core 3.4GHz processor, 8GB of memory and an Asus Z87-K motherboard. YoYoTech business development manager Ryan Pearton said: “At YoYoTech we’re well-known and respected in the gaming world for our wide range of PCs, from budget systems offering incredible power at a low price to our blisteringly-fast high-end systems. “Building and upgrading PCs is a fascinating process and we’ve designed these starter kits to offer maximum bang for your buck. The kits have everything you need to get going, whether that’s as a low-cost way of starting out in the world of PC gaming or as a project a parent can do with their child. YoYoTech is renowned in the world of gaming PCs and has built up an unrivalled reputation among gamers thanks to its expert knowledge and range of products.